Stephanie Alexander is the Regional Director of Marketing for Pediatric Home Healthcare, LLC. Her team of Patient Advocates act as a liaison between social workers, case managers, and physicians, as well as our PHH teams, including Account Managers, Directors of Nursing and Scheduling Coordinators in each office. She dedicates her efforts to growing business relationships with networking partners in order to collaborate and meet the needs of medically fragile children. She leads the way in organizing a solid sales and marketing strategy. She opened and expanded both the Houston and San Antonio markets. 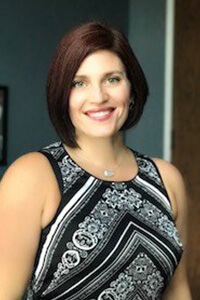 She also serves on the leadership board for Connections Networking – Houston. Ms. Alexander has extensive experience developing and managing relationships with physicians and other networking leaders in the healthcare industry. Previously, she worked with a therapy company as a patient advocate with an emphasis on promoting services to underprivileged and under-serviced children. Before that, she worked for MD Anderson Cancer Center, assisting international PhDs and MDs in meeting their goals in making cancer history. Ms. Alexander lived abroad for four years and understands how different systems and entities must work together through understanding and relationship-building to accomplish a goal. She holds a Master of Arts in Bicultural-Bilingual Studies from UTSA and a Bachelor of Science degree in Psychology and Photography from Sam Houston State University.